Honda unveiled an electric concept motocross bike at the Tokyo Motorcycle Show. The electric motocross bike is still a prototype, but it’s one of the first electric two-wheelers from the Japanese giant, indicating that Honda has been working on electrification for some time now. The CR Electric MX bike uses a CRF based twin-spar frame, indicating that Honda and partner Mugen have been able to create small sized batteries and an electric motor which can fit in the frame of the CRF motocross bike. Mugen has been working on electric drivetrains for some time now, and is Honda’s partner at the electric TT Zero event at the Isle of Man Tourist Trophy, winning five consecutive titles. 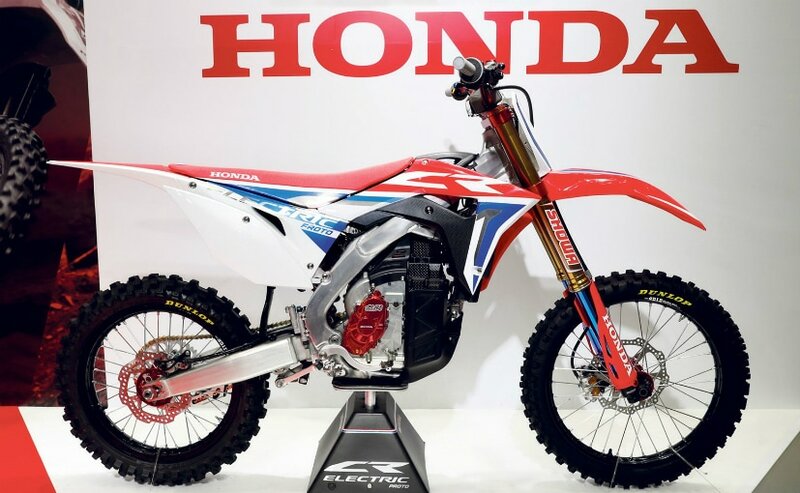 The base bike for the latest Honda electric motocross bike seems to be a Honda CRF250R, and uses the same chassis, swingarm, suspension, wheels and brakes. The specifications and capacity of either the battery or the electric motor have not been disclosed but what is clear is that Honda is serious about developing capability in the electric two-wheeler space, and a production version of some sort or the other (not necessarily an electric motocross bike) will be unveiled sooner than later. The main power unit seems to be a smaller version of the one used in the Mugen Shinden electric superbike, which will be once again used at this year’s Isle of Man TT. The battery is lithium-ion and is manufactured by Maxell, another Japanese consumer electronics company. 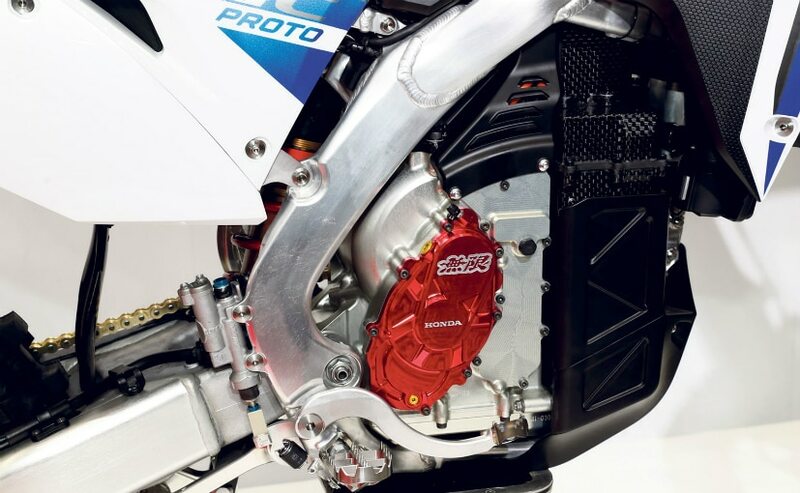 Both the electric motor and inverter are liquid-cooled on the concept bike, for better performance while tackling motocross races which the bike is designed for. There’s no word on a production timeline yet, but the concept is validation that a big motorcycle manufacturer like Honda will, at some point, be in the business of electric two-wheelers for the future.